"While we celebrate our diversity, what surprises me time and time again as I travel around the constituency is that we are far more united and have far more in common than that which divides us." "Jo Cox always loved a good party. 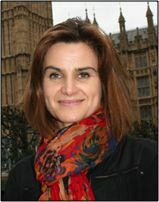 Let's honour her with a massive celebration of Britain's diversity and unity"
In honour of Jo Cox and what she believed in, the Village Hall have arranged an afternoon of events where we hope ALL of the village can meet up over afternoon tea and join in the celebrations. 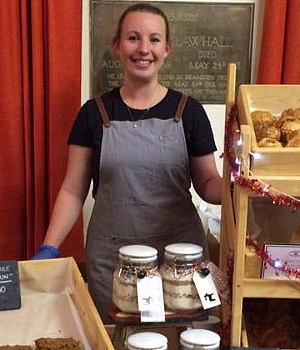 Jack Amos and Ashley Welsh of "Amos & Welsh", who deliver superb artisan bread to the village will explain their story, bread making skills and invite people to sample some of their wares. Villagers who make their own bread are invited to bring some and have it judged anonymously and kindly by them. 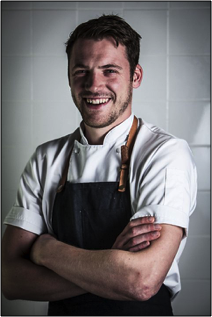 Locally born Tommy Banks heads up the family run 4 AA Rosette ‘Black Swan' at Oldstead and is the youngest chef to be awarded a Michelin Star. Last year he won through to the final of "The Great British Menu" to cook a course at the Houses of Parliament and is currently filming in this year's series. We would like as many people as possible to enter a Cake and/or Bread for the various competitions. The entries will be served with lashings of tea after judging. Entry is by ticket only and there will be limited numbers available. If you plan to bring a cake or bread to the event please contact one of the above. Donations on the day will raise money for The Dragonfly Schools Foundation, a charity rescuing and educating street children and orphans in India.